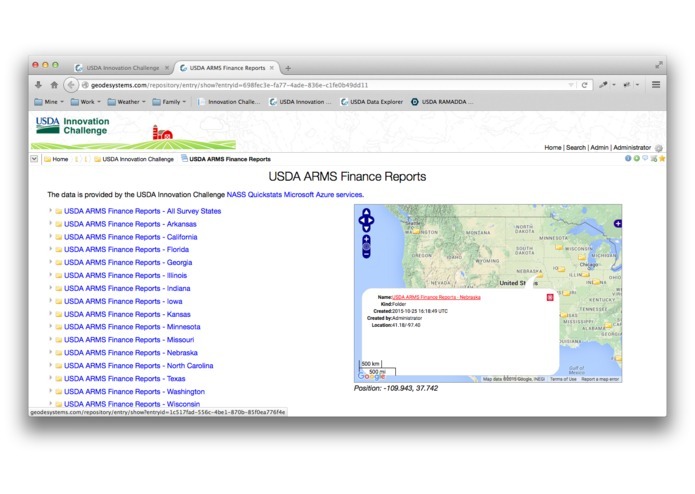 The USDA ARMS and NASS QuickStats data sets provide a treasure trove of data and the Microsoft Azure data access services is a powerful mechanism to access the data. 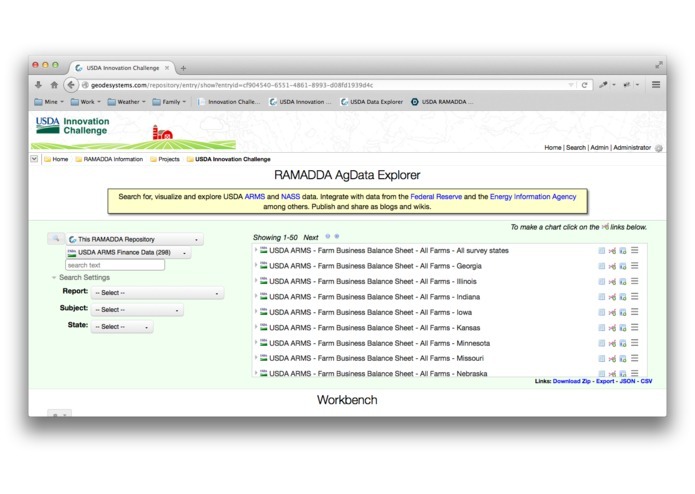 I've developed a new USDA data plugin for the RAMADDA data management platform that provides support for creating, managing, discovering, visualizing and publishing the ARMS and QuickStats data. I developed a plugin for RAMADDA that contains new types for ARMS and NASS data and can dynamically convert the Azure API output format into a standardized time series format. 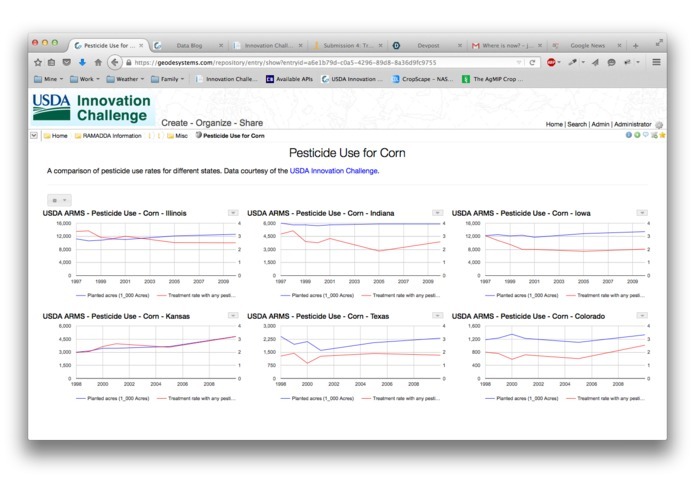 I do not know the domain of Ag data at all so I'm kind of guessing at what sort of data profiles are important and what kinds of query and visualization services the Ag community needs. A number of times now as I have explored the USDA data I've come up with questions and have gained some insight into a space that I am unfamiliar with. 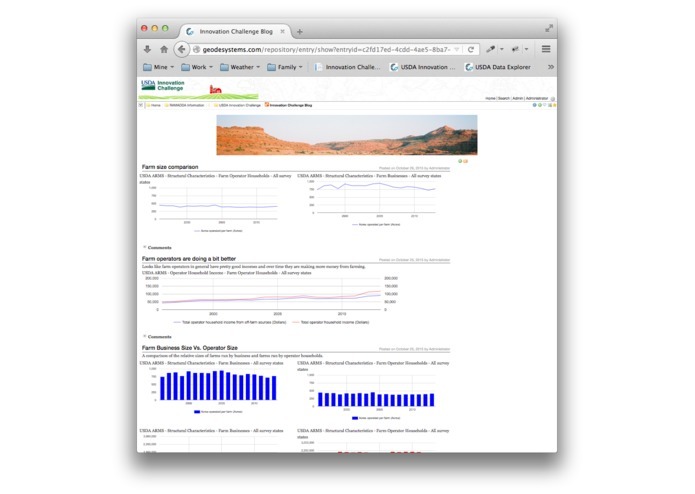 A real aha moment is thinking that if I can ask such questions and gain such insight what can the 10s of thousands of folks who know Ag data and work in the field can do with these kinds of services. The Azure services are very impressive.